Scallops are a very versatile ingredient that taste good both cooked and raw. 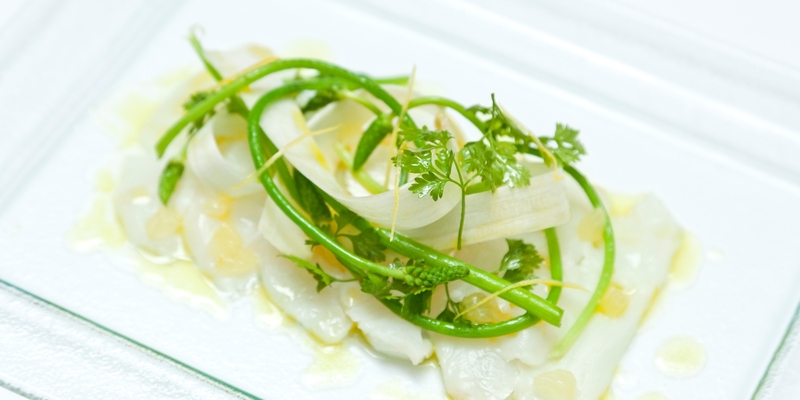 Their sweet and delicate flavour lends particularly well to ceviche - a Central and South American dish of raw fish lightly cured in citrus juice. You should only attempt this dish if you can get hold of high-quality, very fresh scallops. Lime is the most frequently used citrus used in ceviche, but lemons and Seville oranges also work well. Further flavour can be added in the form of a dressing or sauce, such as William Drabble’s truffle dressing or Geoffrey Smeddle’s avocado cream. Scallop isn't the only seafood that can be used, try other firm, fresh fish such as halibut, sea bass, sea bream and trout.